There’s not long to go until 14th February 2018 but don’t feel bad if you haven’t already found the perfect Valentine’s gift for your love one, as we’ve got 8 gorgeous gift ideas from our friends at Croutique that are sure to make your other half, smile, laugh or seriously aww! 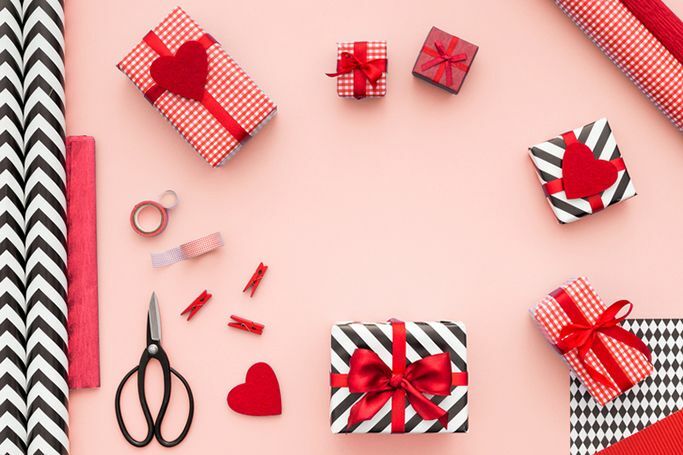 It can often be difficult to pick a romantic gift for your partner on Valentine’s Day, as the market is full of teddy bears, chocolates and bouquets of roses. So, if you want to be original this year and find a more thoughtful present, we have personal gifts under AED 150 that show a token of your love without being too mushy. From cute mugs to endearing artwork and adorable pillow cases, these gifts are all available via online shopping in Dubai and UAE, so you don’t have to spend hours browsing the busy malls to find the ultimate Valentine’s Day gift. These pillow cases will add a sweet sentiment to your bedroom and your dreams! As you could show your love for your significant other by telling them you're the perfect match every morning and night. Romantic moments don't have to be created over a fancy dinner, they can be made over a cup of tea, a good chat and a custard cream. This mug beautifully sums up that love can be simple and so can your Valentine's Day gesture. If you find it difficult expressing how you feel towards your S.O. then get the art to declare your love this Valentine's Day, as this cute picture says it all. A personal touch always pulls at the heart strings, as this printed photo is unique to your relationship and daily reminder of your love (and the important anniversary date you often forget)! This is the perfect Galentine's gift for your friends, your daughter or your mum, just to show your love and appreciation of the girls in your life. This gift basket is full of thoughtful treats for your other half, from a set of Mr and Mrs pillowcases, a cherry blossom candle and a giant box of love matches, this gift box has it all! Another wall art piece we love for Valentine's Day, a gift for the home is something for you both to enjoy and lovingly admire. This delicate hand-crafted card is prettier than most you find the shops, as you can show your affection with this paper creation that your Valentine is sure to adore.